1 typed invitation addressed to Rabbi J. B. 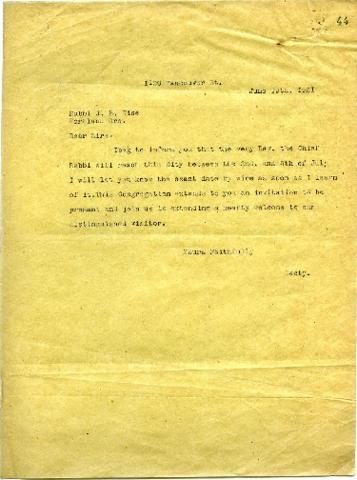 Wise from the Secretary, regarding a reception for the Chief Rabbi, dated June 19, 1921.